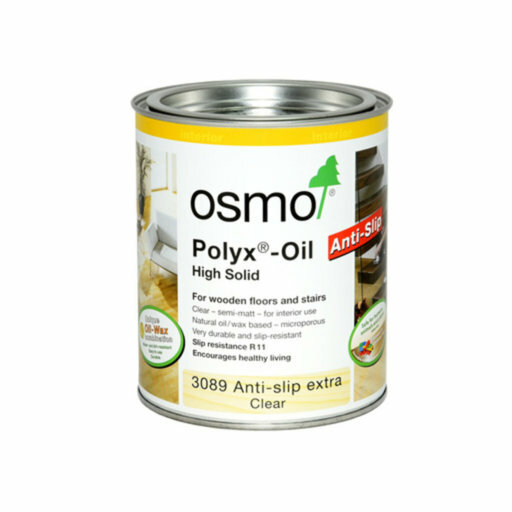 Osmo Anti-Slip Decking Oil, Clear, 2.5L is clear, satin finish for exterior wood. Especially recommended for wooden decking. Anti-Slip Decking Oil increases the durability of the surface, protects it against mould, algae and fungal attack and reduces the risk of slipping. The surface is water-, weathering- and UV-resistant. As a top coat it increases the durability of a pigmented first coat. Number of coats: 1 top coat for deckings that have already been treated with one of the pigmented Osmo Wood Oils. For renovation only one coat is needed - no sanding required!